We’re just weeks away from the release of the latest James Bond epic Spectre, and now we know what the theme music will be. 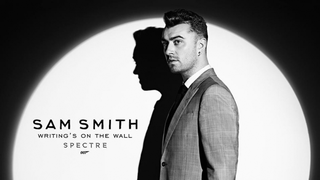 This time around the film-makers have opted to commission Sam Smith (the singer, not the beer as everyone knows that Bond drinks Martinis), and he’s come up with a track titled “Writing’s On The Wall”. The song premiered on the radio this morning and is currently available for listening on Spotify. There’s just one problem though: it is slightly more than a Quantum of Rubbish. Sam Smith admitted that the track only took 20 minutes to pen – maybe a little more time spent on the drawing board would have been welcome? Imagine the world’s most generic man writing a slightly off-key song that is supposed to sound like a Bond theme tune while not breaking any copyright rules, and you’ll end up with what we are presented with today. Twitter’s reaction has been quick and harsh too. Of course, no Bond theme tune will ever match up to those composed by Adam and Joe when Quantum of Solace came out of a few years ago – have a listen to these below.